ICEYE-X2 to become ICEYE’s second satellite deployment and the first Polish-Finnish satellite to-date. Helsinki, FINLAND – November 8 – ICEYE, an Earth observation company creating the world’s largest Synthetic-aperture radar (SAR) satellite constellation, today confirmed it is launching the company’s second SAR satellite, ICEYE-X2, into low Earth orbit on Spaceflight’s SSO-A: SmallSat Express mission. The mission is currently targeted to launch on November 19th from the Vandenberg Air Force Base in California aboard a SpaceX Falcon 9 rocket. ICEYE-X2 will further showcase the capabilities of ICEYE’s SAR technology. This launch follows the success of ICEYE’s first satellite mission ICEYE-X1 earlier this year. The ICEYE-X2 satellite has recently finished all tests, and it has been shipped to the launch site. Spaceflight’s SSO-A dedicated rideshare mission will the launch ICEYE-X2 into a sun synchronous low Earth orbit, along with more than 60 other spacecraft from 34 organizations. The ICEYE-X2 satellite mission is aiming for further improvements in ICEYE’s SAR imaging technology. Earlier this year, ICEYE launched the world’s first SAR satellite under 100kg, ICEYE-X1, on-board India’s PSLV-C40 rocket. ICEYE-X1 successfully collected more than 600 images throughout its mission. By the end of 2019, ICEYE is on track to launch a total of 8 additional satellites after ICEYE-X2. Spaceflight is revolutionizing the business of spaceflight by delivering a new model for accessing space. A comprehensive launch services and mission management provider, the company provides a straightforward and cost-effective suite of products and services including state of the art satellite infrastructure, rideshare launch offerings and payload integration that enable commercial and government entities to achieve their mission goals on time and on budget. A service offering of Spaceflight Industries in Seattle, Wash., Spaceflight providers its services through a global network of partners and launch vehicle providers. For more information, visit http://www.spaceflight.com. 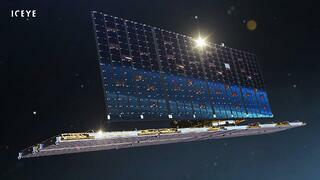 "ICEYE-X2 SAR satellite mission concept art." "An artist's depiction of ICEYE-X2 SAR satellite in orbit." 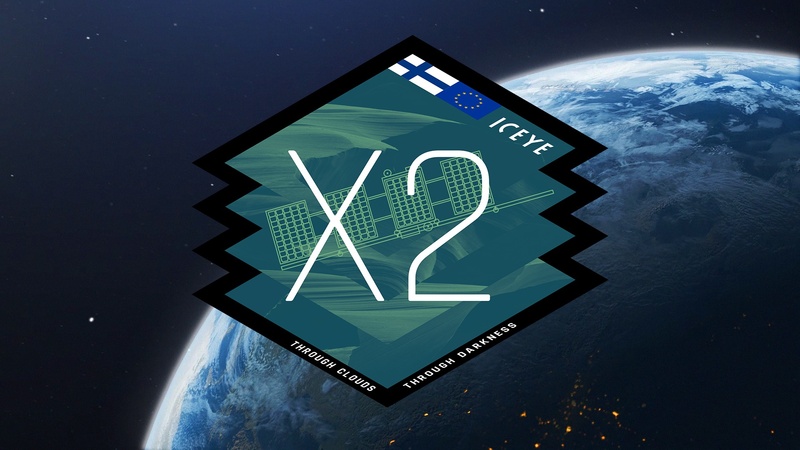 ICEYE-X2 SAR Satellite Mission Logo.